Jordan updates Laura on the investigation. She says forensics is checking the knife for prints. She explains that the bloody footprint went in the opposite direction from Lulu. She believes the killer may be injured and has notified the hospital. Ava&apos;s there to comfort Ryan when he has a nightmare and calls out Lulu&apos;s name. She says she feels badly for Laura. Ryan interprets that as Lulu not making it through surgery. Ava informs him she&apos;s still in surgery, but is certain that Lulu will come through. Finn and Anna wait to speak to "Kevin". Anna says she never worked with him, but he could have been contacted directly by the WSB. The two head into Ryan&apos;s room and explain how Anna also had the same blindness. Finn asks if "Kevin" ever worked for the WSB or DVX, but Ryan claims he didn&apos;t. Finn asks if "Kevin" has been in contact with something that wasn&apos;t his recently, and Ryan flashes on Lulu&apos;s license. Valentin tells Charlotte she&apos;ll be staying with him a little longer. She questions why Mommy&apos;s not coming to get her. 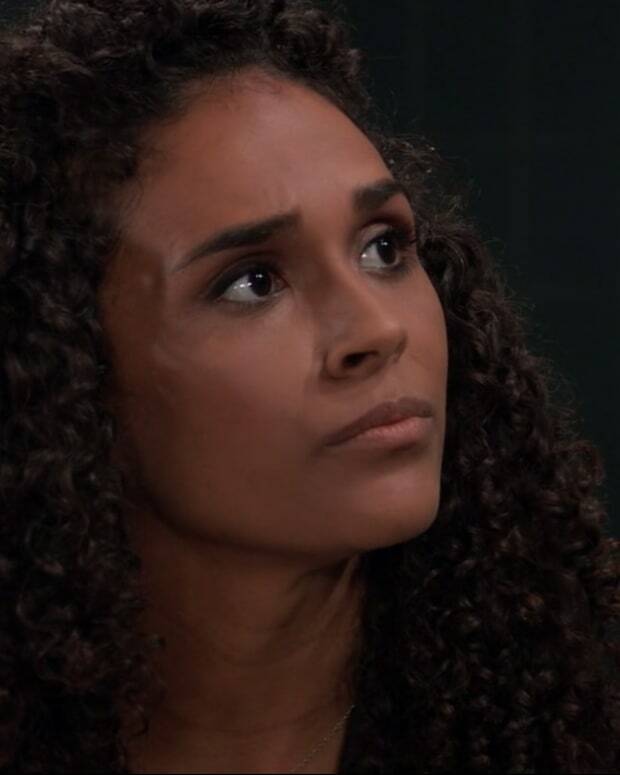 Valentin is forced to tell her that Lulu was hurt and is in the hospital. Charlotte insists on going to see Lulu. Jason manages to fall through the rotten boards to the next level below, which puts him far enough down that he can&apos;t see Sam. Jason walks around trying to find a way out. The fire department arrives and Sam explains what happened. They tell Sam that they need to wait for special equipment in order to get down to Jason. Maxie heads to Nathan&apos;s grave to talk about how she&apos;s getting closer to his brother, but is scared to give in. She asks for a sign, just as Peter arrives. Peter admits he stops by periodically to talk to Nathan. Maxie says she doesn&apos;t know how to let go, but Peter assures her that Nathan will let her know when it&apos;s time. Nina shows up and tells them about Lulu, so they head to the hospital. Sam calls Spinelli and asks him to check the engineering records to find out about the pipes and tunnels under the city. Spin explains that the water system leads out to the harbor, at Pier 55. Ryan asks Ava to get him some tea. While she&apos;s gone, he searches for his coat to find Lulu&apos;s license. He drops it under the bed and has to root around to find it. Ava returns, so Ryan claims he was looking for the remote and fell. 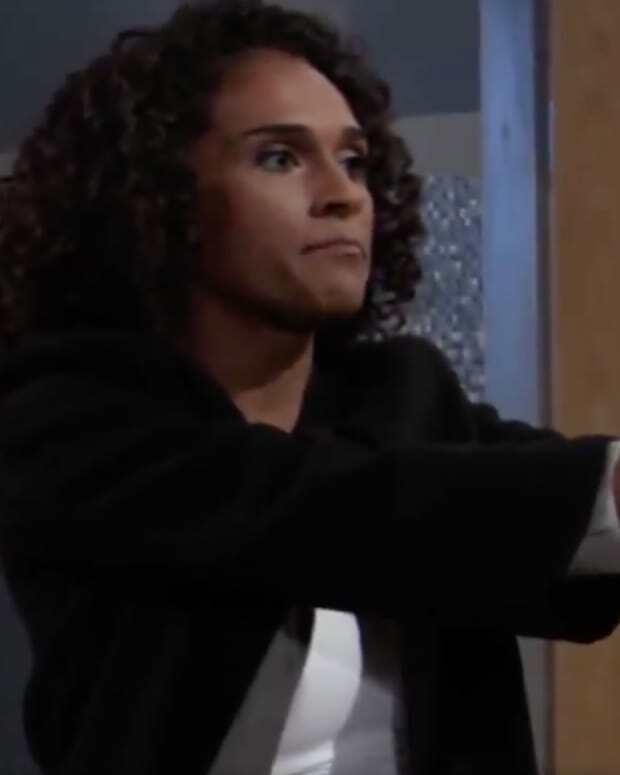 Laura and Sonny want to know if Lulu&apos;s attacker is the one who killed Kiki, but Jordan says she can&apos;t discuss privileged information in front of Sonny. 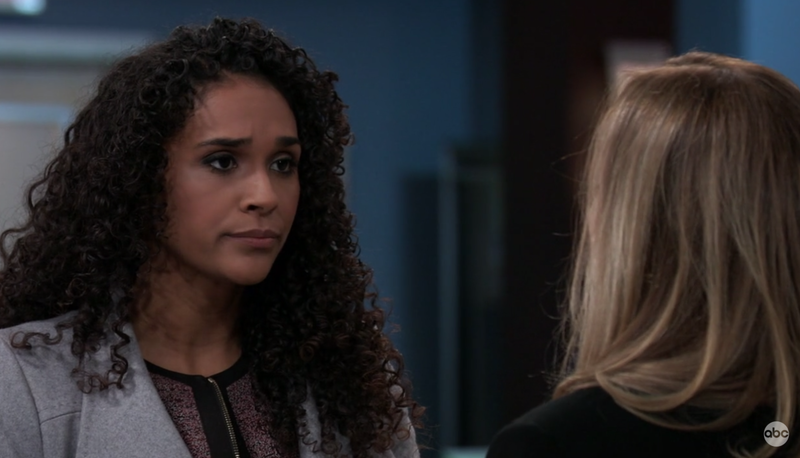 Jordan tells Laura that Lulu&apos;s wound pattern was the same and the attacker is familiar with human anatomy. Jordan says Lulu&apos;s licence is missing. Laura asks for Lulu&apos;s phone. Jordan says they are still checking it and want to speak to the last person Lulu spoke with. Anna walks up at that moment, so Jordan tells her that Peter was the last person to call Lulu. Anna says Peter isn&apos;t a serial killer and didn&apos;t do this. Valentin brings Charlotte to the hospital. Charlotte tells Laura she needs to see Lulu, but Laura says she can&apos;t. Laura reassures Charlotte that Lulu is a fighter. 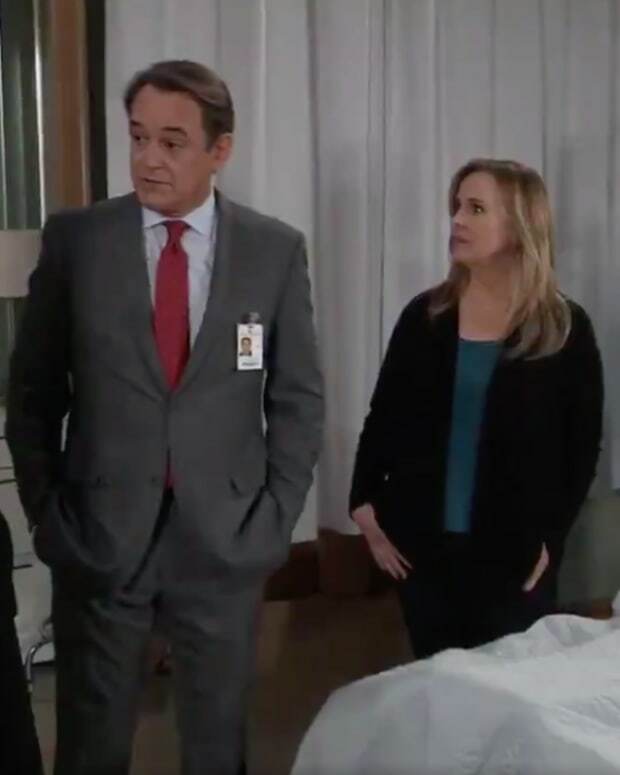 When Peter and Maxie get to the hospital, Jordan has questions for Peter. She wants to know about his last conversation with Lulu and where he&apos;s been for the past 4 hours. Peter explains that he was at the book launch. He spoke to Lulu and she wanted to run a part of the story that he didn&apos;t approve of, so he shut her down. Ava says she&apos;s there to support "Kevin". Ryan tells her he feels more for her than anyone else and not to forget that, whatever may come. Finn shows up with results. He tells Ryan he has the same virus as Anna and surgery will fix the blindness. Lulu&apos;s surgeon tells Laura she&apos;ll make a full recovery. Finn then tells Ryan. Sam heads to the pier, spots Jason&apos;s body in the water, and jumps in.